Today I woke up feeling a little sorry for myself after quiet a large birthday night out. I enjoyed champagne, several margaritas, a punch bowl, a nice pilsner beer, coffee flavoured tequila and a very delicious but very non-paleo friendly Asian banquet! 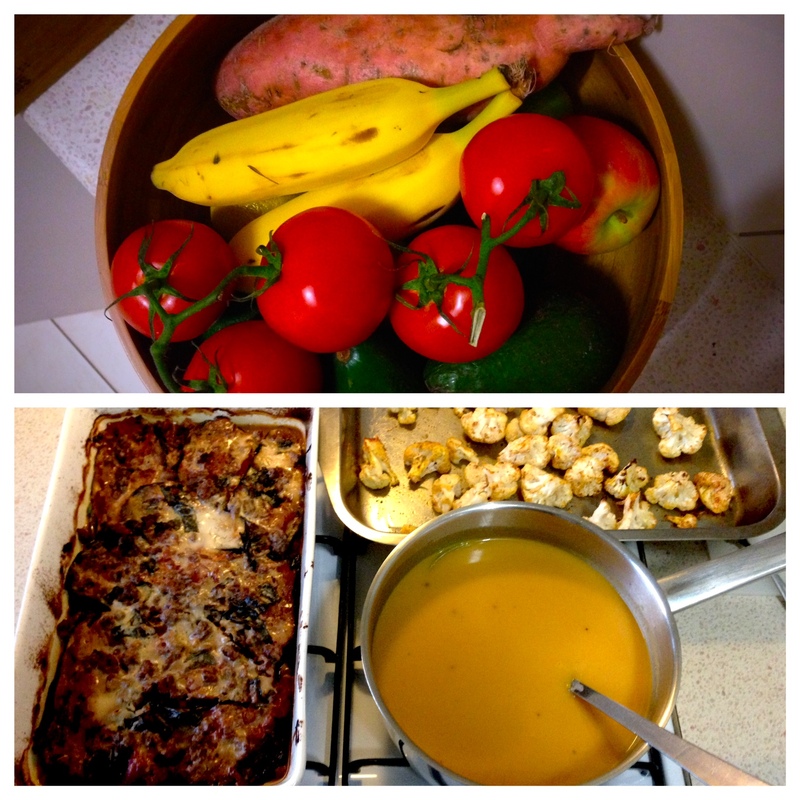 I spent the afternoon in the kitchen preparing food for my first week on the Whole30. With inspiration from Well Fed, I prepped a mountain of fresh veggies and protein in advance so that during the week I (hopefully) won’t run out of paleo friendly food and be stuck in a panic with nothing to eat. pumpkin soup – for any time! moussaka – for delicious eats! I’m all ready for the week – wish me luck! Hi, Holly! Like the look of your blog – very refreshing! I am starting a Whole30 today, too…and spent the day cooking as well. Best of luck to us both!